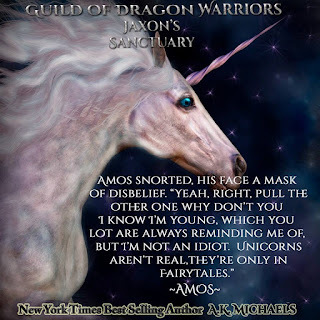 Master of the Guild of Dragon Warriors, Jaxon is heading back to their sanctuary, exhausted and injured, after a battle that the human realm has never before encountered. Supernatural beings fighting against the Demon King for survival of not only them, but all of humanity. It was horrendous, tortuous, and downright brutal. He and his fellow Dragons were lucky to escape with their lives and all he wants now is to reach home and recover, knowing it will take days for him to reach full fitness again. When an urgent call for help reaches them, he has no option but to head out again and give the aid that he is sworn to deliver. What he finds is a unique being that is under threat and he vows to ensure her safety. No matter the cost. His Dragon Warriors rally round and they must fight to protect the female in dire need of their defense. But Jaxon is not quite prepared for the consequences of his mercy mission and must make a decision that he never thought possible. 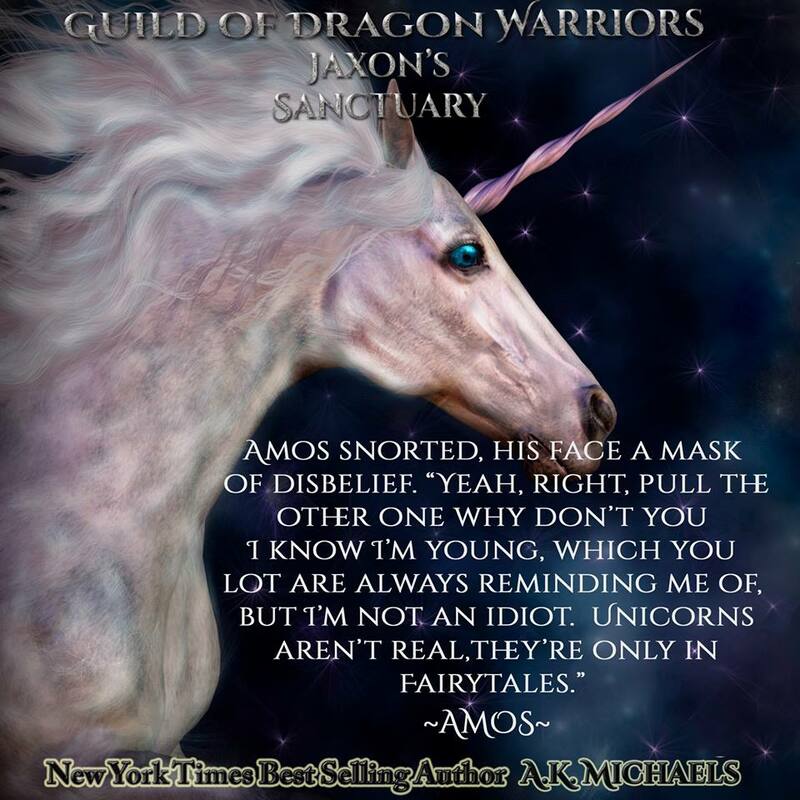 Come and follow Jaxon and his Guild of Dragon Warriors in Book 1 of New York Times Bestselling Author, A K Michaels’ brand new series. "This author never ceases to amaze me with her books. She now has delved into the dragon shifter world and I can say honesty its one hot book. We get action, suspense, and a lot of romance." 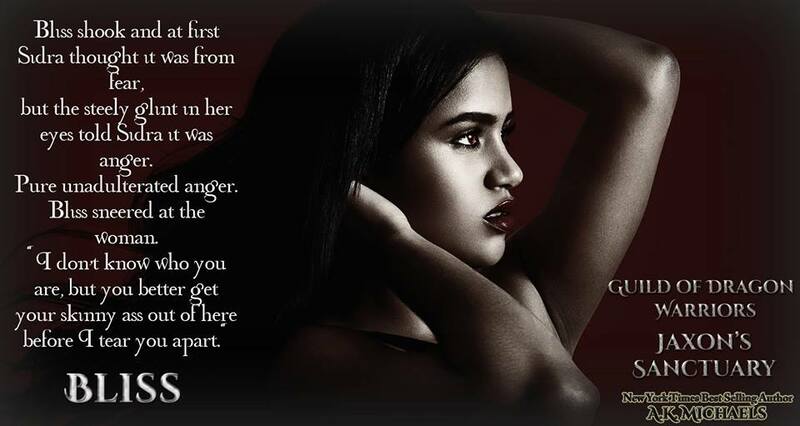 "Ava has done it again what an amazing start to what alludes to be a brilliant series. Thank you for giving all you readers a chance to escape into the world of Fantasy." "Its an all action, very fast paced book. Lots of new HOT dragons to meet, and one very special being that I want to keep track of. We have only had a little taste of her power. I loved every single page 5 stars are not enough." 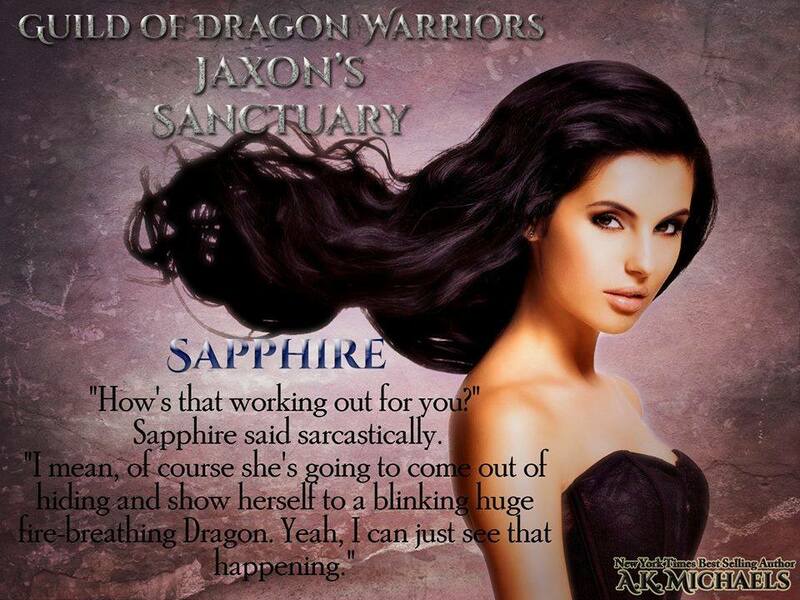 This is a beautifully written romantic adventure into the world of the Dragon Warriors. It lays out the groundwork for the reader as to how the Warriors world came about and if future books in this new series are as good as this one I can see it being a long and anticipated one. The characters are colourful and different from each other, giving you quite the spectrum of the different personalities that make up these Warriors. Humour abounds and also bravery shown that will make the reader turn the pages in this very enjoyable book. You can picture in your mind the village that is portrayed on these pages and understand the ultimate goal of the Guild that these warriors belong to. Jaxon the Master of the Dragon Warriors is a man whom you can feel has integrity down to his dragon bones which tends to make him grumpy at times because of the duties he takes so very seriously. It is very entertaining when you read that he is totally thrown out of his comfort zone when he meets a certain feisty, beautiful woman who needed to be rescued from the despicable demons that are chasing her which are the bane of the Dragon Warriors. These demons have kept them busy as have helping other people from these and any other tyrants that think they can harm and control people that are weaker than them. Managing to kill the offending demons they take the woman and her charge back to the haven that Jaxon has built over the years giving a safe place for people, regardless of species that have been dislodged and fought against by their foes. This is when the story really begins with Jaxon getting the biggest shock of his life when he comes in direct contact with the woman that he and his fellow warriors have saved. The woman Sidra is our other main character who not only gives out as good as she gets but also has a secret, one that makes her quite unique. When she is confronted with the handsome hunk of a man in Jaxon she feels that somehow he is going to be very important to her and she needed to be close to him. Jaxon, while not even knowing why she makes her claim to wanting to stay in his cabin makes Jaxon wary but not denying her as he also has strong feelings towards Sidra and not understanding why. The growing attraction between these is instant and flares hotly when they come in contact in Sidra’s bedroom. When Sidra first sets eyes on a naked Jaxon her excitement grew, he was huge everywhere and she couldn't deny her feelings no more. You will read of their fated romance but also of the different warriors that makes this such a good read. I feel that some great stories are going to unfurl concerning these other warriors and the dangers they will face in the future and I for one will look forward to them. Brilliant. 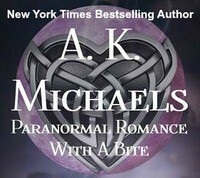 New York Times Bestselling Author, A K Michaels, Ava, was born in Scotland quite a number of years ago. She was married at a young age, and is mother to three much loved children. After the birth of her last child she went back to higher education to study, before gaining employment within the banking industry. She worked in that role for a number of years before leaving; both the job and the country. She has twitter and a Facebook page where she loves chatting to folks.